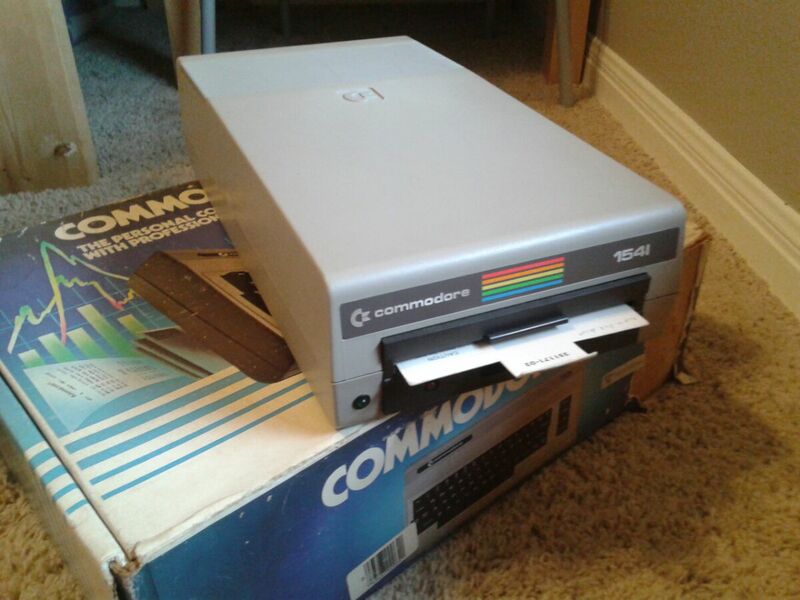 Today I received a large package from a friend containing a Commodore 64 and Disk Drive! They told me they found it at a local goodwill for a few bucks and shipped it to me. 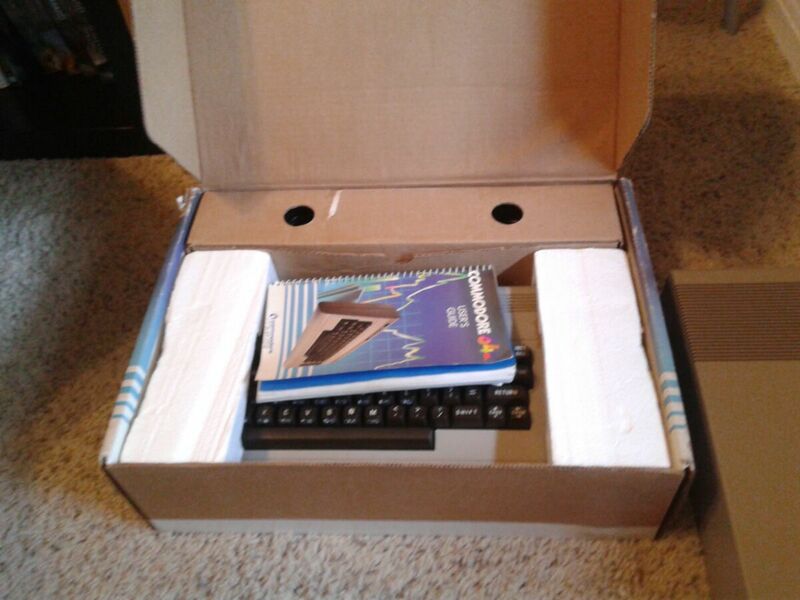 Still in its original box with manual and Styrofoam inserts. No power or data cable for the drive though. Still, it's in great shape for the amazing price of free! It powers on fine to the main screen but I get no cursor and keyboard doesn't type anything. I read that it means the 6526 chips aren't fully functional but they aren't socketed either so I'd have to de-solder them to repair it. Anyone have any advice for the best way to go about getting it fully functional? How are you connecting it to your display? Are you using the RCA cable and an RF modulator connected to the VHF inputs of a TV, or are you using the special DIN to RCA cable used for monitors? 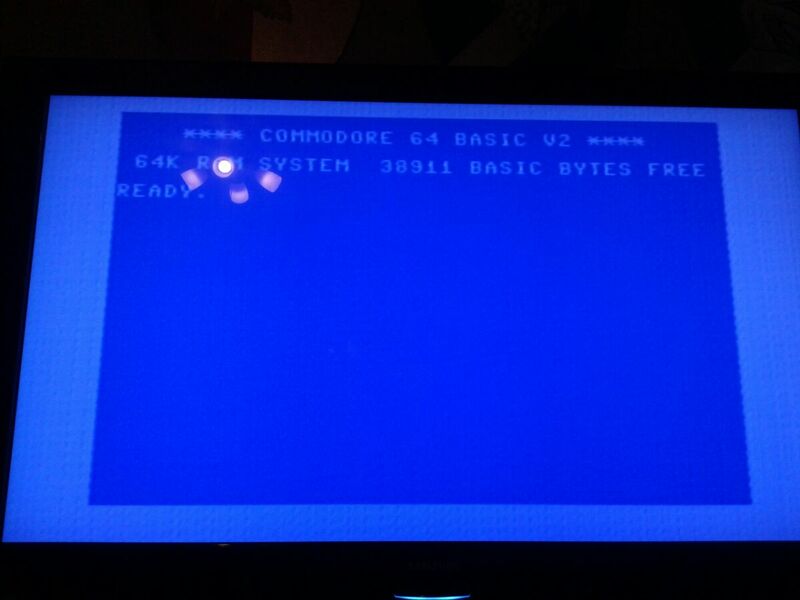 I seem to remember seeing the same thing when I connected our old C64 to the Sony TV that we had at the time. Got the screen, but no text, nor a blinking cursor. This is the best photo I got of the Commodore screen. It boots up properly and displays on the tv like shown. I am using an RCA cable through a coaxial adapter to a flatscreen TV as that's all I have at the time. The video adapter works well with my Atari 2600 too so I doubt it's the problem. I read that it's a common symptom of said chips breaking but if there's alternate reasons that could cause no keyboard input (no disks, tapes, or cartridges to test with otherwise) I'd like to hear about those too. Yeah, I'd go with the 6526 CIAs in this case. Desolder them, put in sockets, and swap them. If the behaviour changes you've got your culprit(s). My suspicion is that only one of them is blown. Thanks for confirming my diagnosis, I wasn't quite sure if that was the main culprit but it seems like it. I've found a few sites offering the chips too for a decent price. Is there a specific socket I need or will any generic 40 pin one work? Any ideas on the best location to purchase these parts? On a slightly different note, are there any other parts in the machine I would need to replace or check? 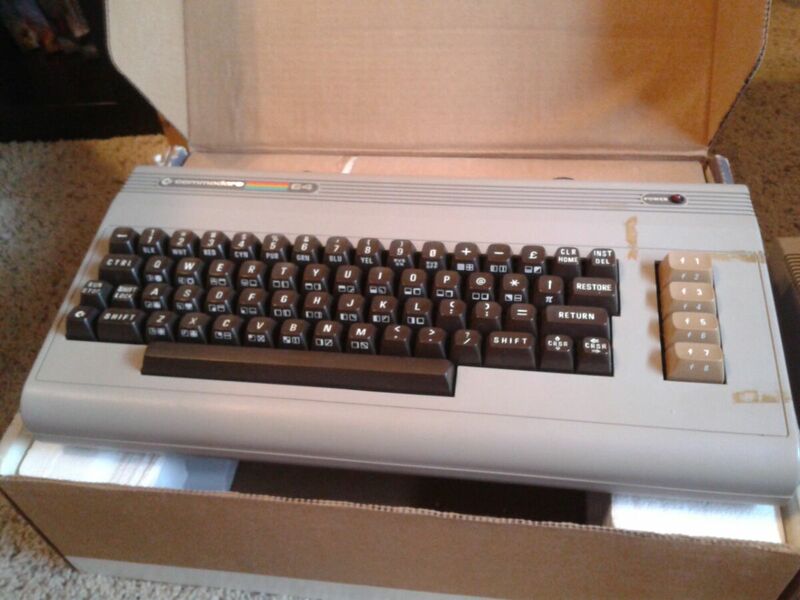 I opened it up and checked capacitors, the fuse, and pretty much anything. It's remarkably clean underneath for 1983 (REV B motherboard), apart from a strange streak of what looks like glitter glue on each IC. Any idea if this is factory applied or something some owner may have done? Would it be removable without damaging anything? Caps are rarely a problem, even at this late date. The glitter glue is probably heat sink compound and is supposed to contact the Faraday cage. Any 40-pin socket will work. Fry's, Mouser, Digi-Key, you name it. The chips themselves you may have to get on eBay.